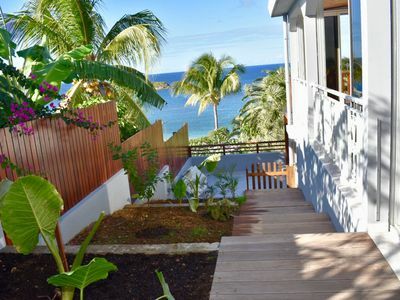 On the ground floor of a pretty little Creole villa, in the middle of a private and quiet residence, an independent air-conditioned studio which includes a large room furnished with a bed of two people, two bedside tables, a table and two chairs and a small piece of furniture. 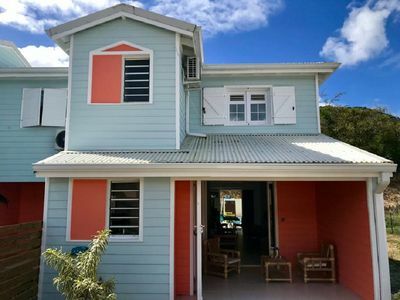 It extends a fully equipped kitchen with fridge and two electric hobs and a combi oven; an independent bathroom with toilet and shower is as a result of this set. 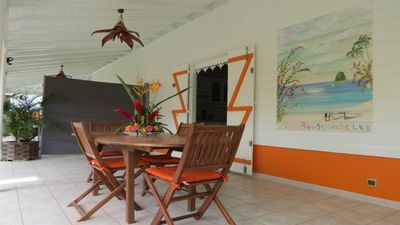 Outside is a carbet, a real outdoor living room, furnished with a table and two teak chairs, with the possibility to close on two sides by two sliding tarpaulins to protect the rain. 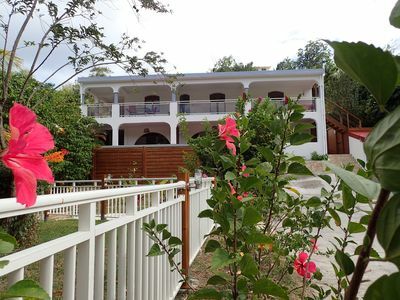 the set is located in a private garden with flowers and trees. 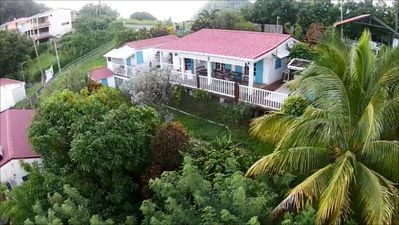 The set is ideal for a stay in the middle of the Atlantic coast, near boat rentals, kayaks, with a small wild beach at four kilometers. 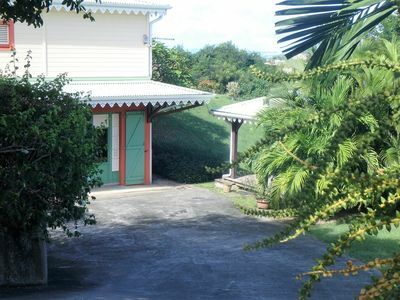 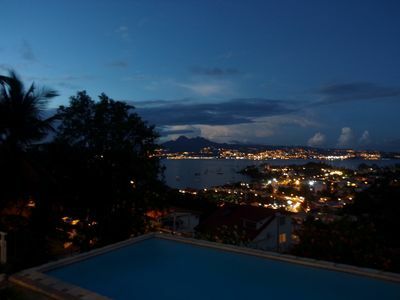 Very charming studio with air conditioning in the middle of a tropical garden, groundfloor of a typical Creole villa. 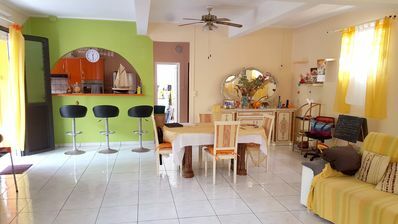 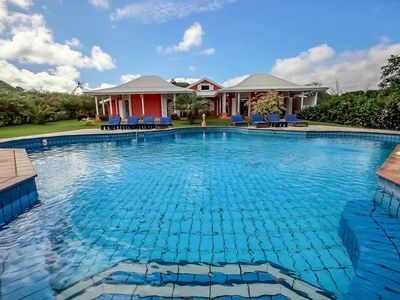 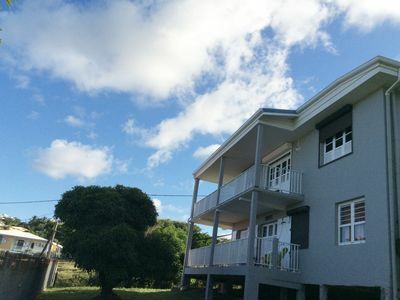 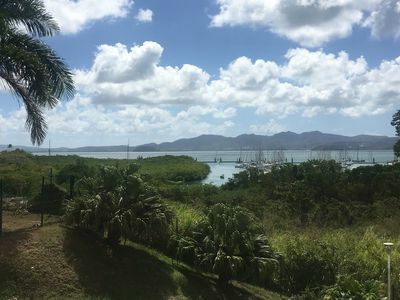 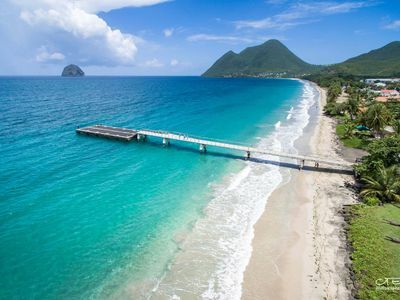 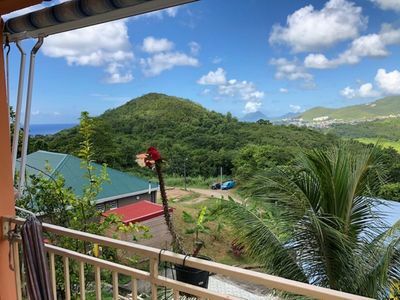 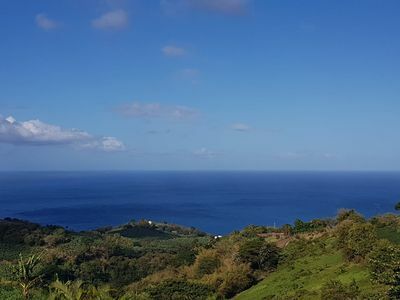 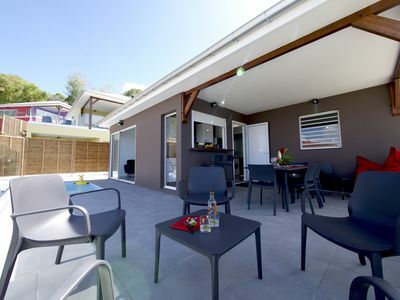 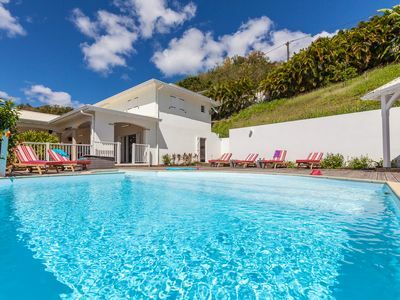 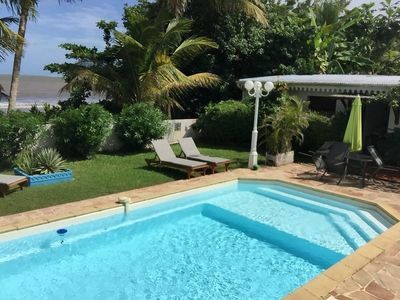 Situated in a private area, it is in the middle of Martinique, near the coast, and permits access to the nice sites of the north and south of the island. 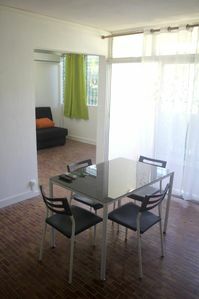 It has a nice room with a double bed, a small kitchen and independant bathroom. 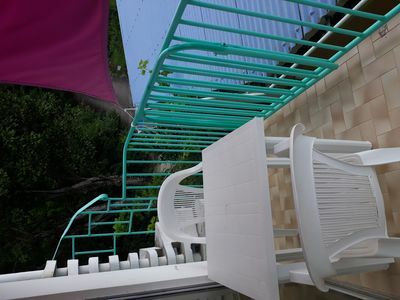 Next to it has a small private "carbet" permit to have a separate dining room in the middle of the tropical garden. 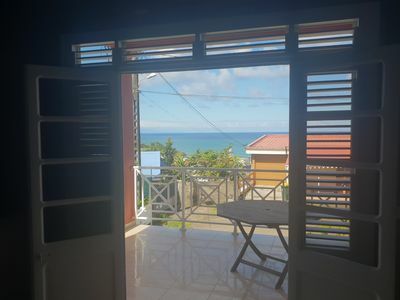 T2 Beautiful sea view, beach and village, ideally located.